No Comments on RAIN Forest? We always tell people that in the rainforest there is a dry period and a wet period, this was demonstrated perfectly where we got completely drenched after trekking in the forest completely dry. I don’t think any of us will complain about the rain in England, however did we get upset by the rain? 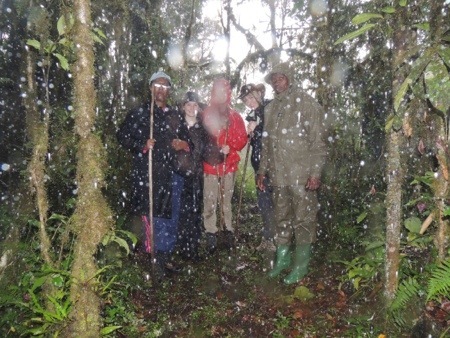 Oh no we loved it, even though we were drenched from head to toe, you cant beat rain in a RAIN forest! The picture also demonstrates the spherical shape of each rain droplet.